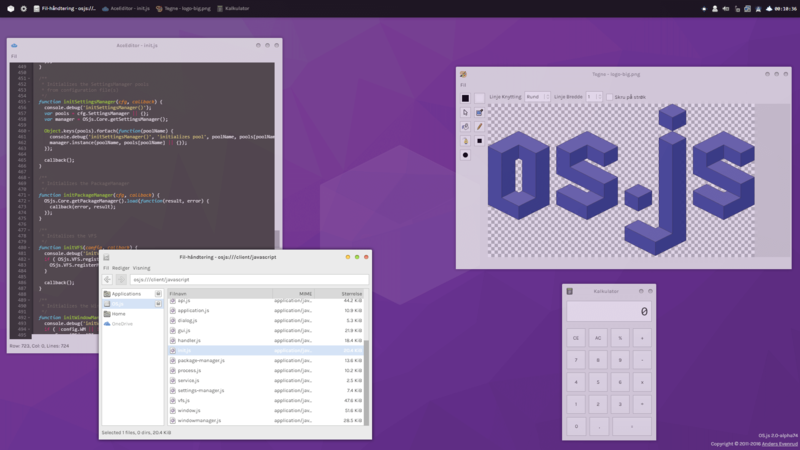 OS.js is a desktop environment that runs in a browser with fully-fledged window manager, application APIs, GUI toolkit, filesystem abstractions and much more. Can be installed on all platform and runs in any modern web browser. This manual contains instructions, developer information, general resources, tutorials and guides. If you&apos;re looking for the legacy v2 manual follow this link. To try it out, check out the official v3 online demo. Please note that this might be down for maintainence at times, or running an unstable version.